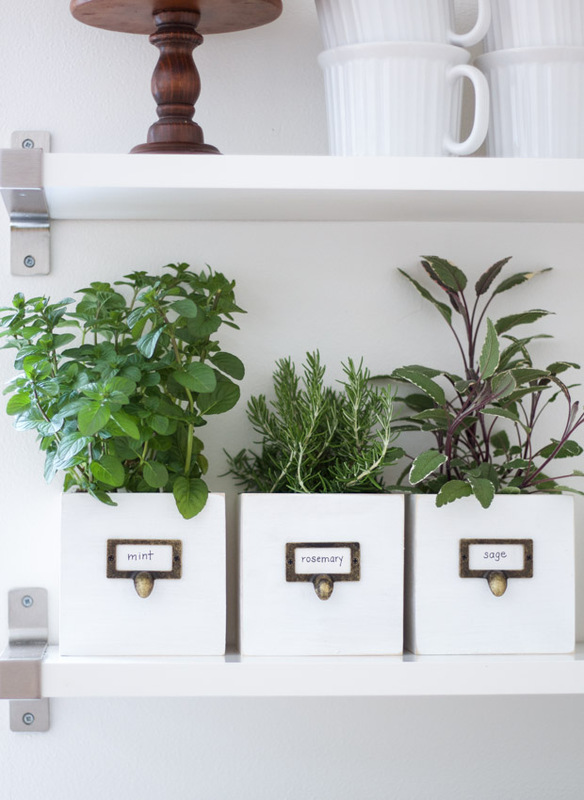 Lucy over at Craftberry Bush always has amazing ideas and I personally love this one…she places plants in Card Catalog Drawers for an extra Farmhouse Touch on the shelf! The best part of this idea is that she shares the DIY on how to make these Faux Boxes…that way you don’t have to be one of the extremely lucky ones out there that have the original drawers…Lucy has your back! Ella Claire Inspired created a Vignette and the beautiful plants are the star. 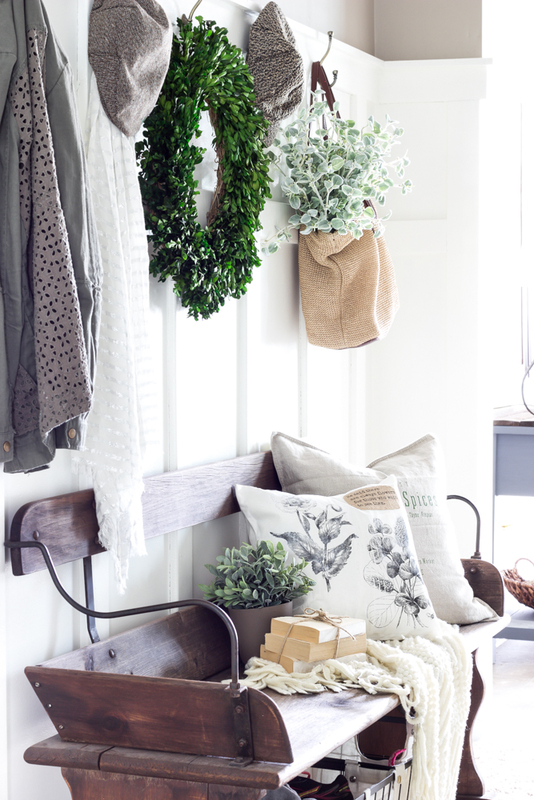 Don’t you just want to find a place for an arrangement like this…clean …crisp and oh so Farmhouse! 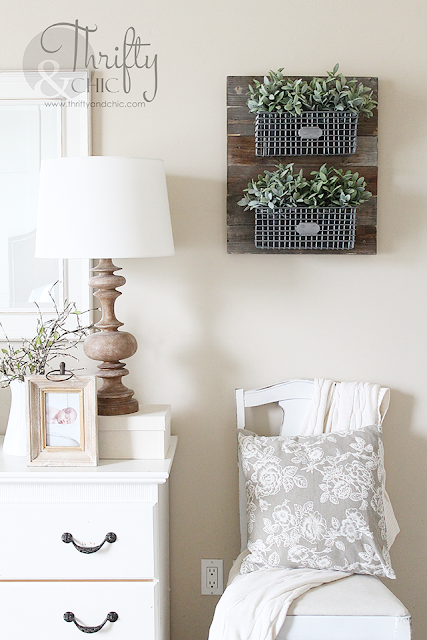 Leave it to Lauren from Bless’er House to make Plant Wall Art! How incredible does this look. A wonderful way to welcome guests into your home for sure. So unique…so Farmhouse! Come and see how she did it…I am sure you can come up with something very similar. LOVE IT! Topiaries are such a staple in the world of Farmhouse and Vintage News Junkie is going to show you how to make one in 30 seconds (well maybe a few minutes : ) They will add tons of drama to your space. A little bit of greenery goes a long way in a space. Wife In Progress adds some plants to the wall and the Sofa Table and it simply brightens up the whole space. 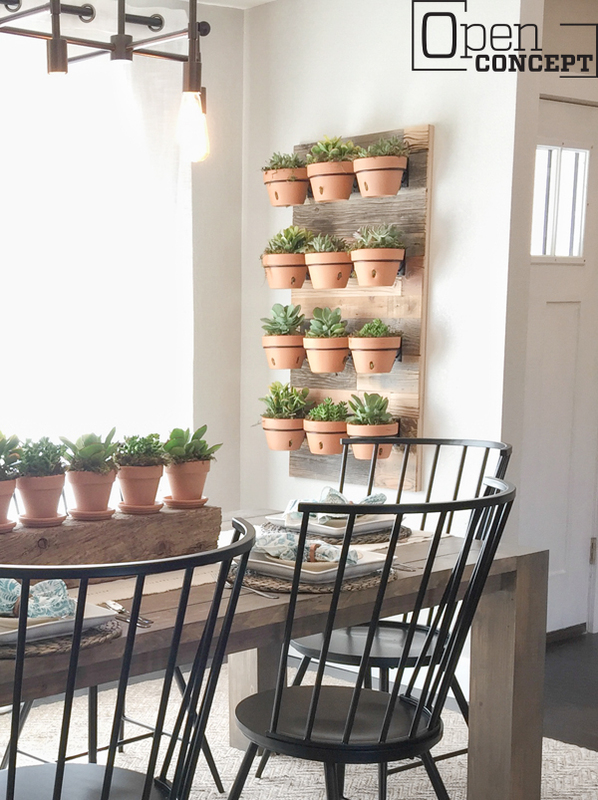 Bonus…the DIY for the Wall Plant Holder awaits you! It’s quick…easy and looks fab! 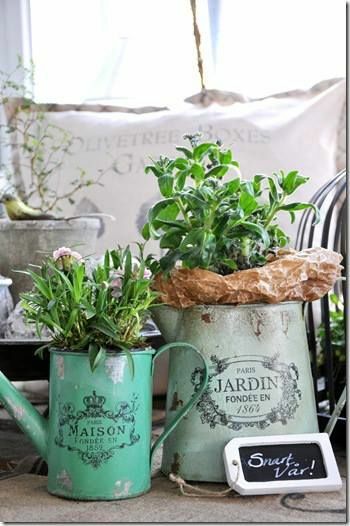 White Washed Terra Cotta Pots filled with pretty plants will certainly add a Farmhouse Touch to any place in the home. Perfect for a Sunroom! Setting For Four is sharing a quick and easy White Washing DIY…so grab those pots and have fun! Varying the sizes always adds a bit more charm. 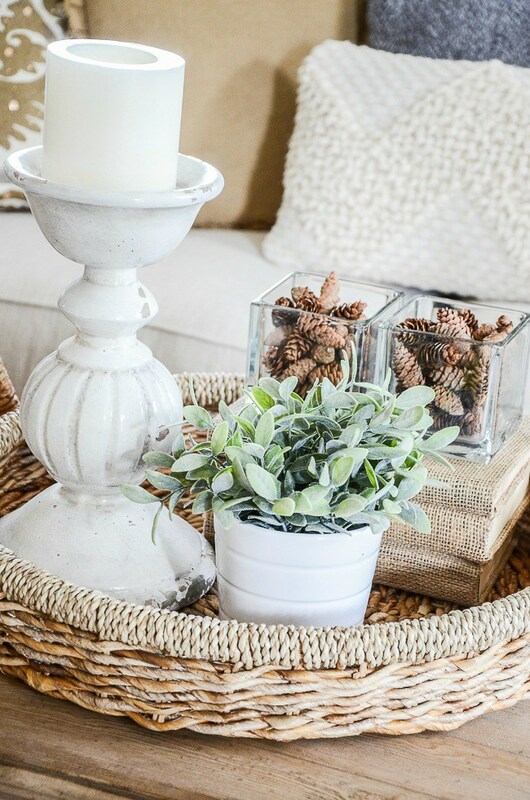 Wire Baskets…Weathered Wood…Farmhouse basics …but when you add the perfect Plants…well…the Marriage will last forever. Thrifty and Chic not only shows us how harmonious this trio is…she shows us how to make one for our very own home. Get this DIY and ENJOY! 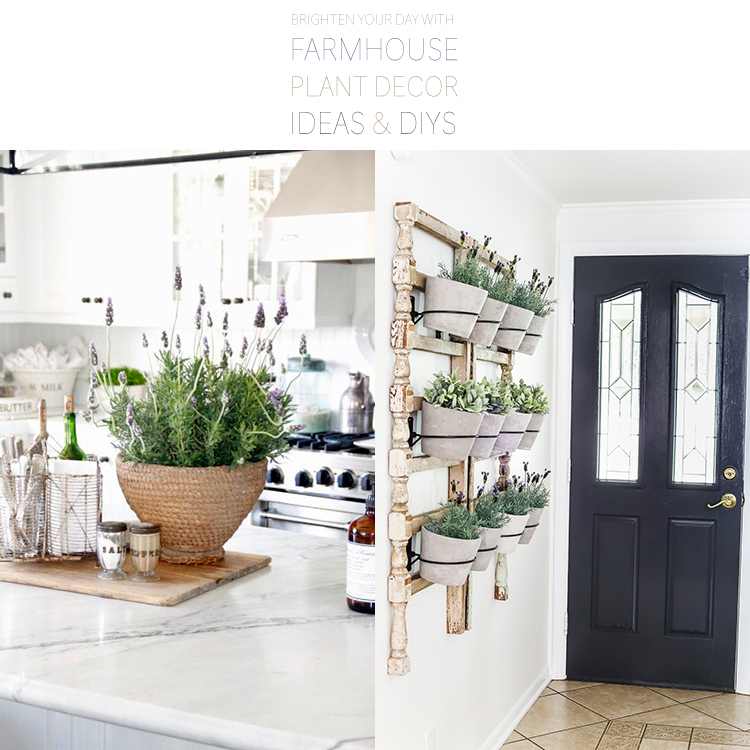 The girls over at Shanty 2 Chic have created their own Farmhouse Plant Wall Art and then brings the coordinated pots of greenery and it looks picture perfect. Now incase you want to grace your wall with this beautiful piece…the girls are sharing these fabulous DIY! What a great project for the weekend. Find the sunniest place in the house and hang it on the wall nearest the window. I SOOOO want this for an Herb Garden in my Kitchen! 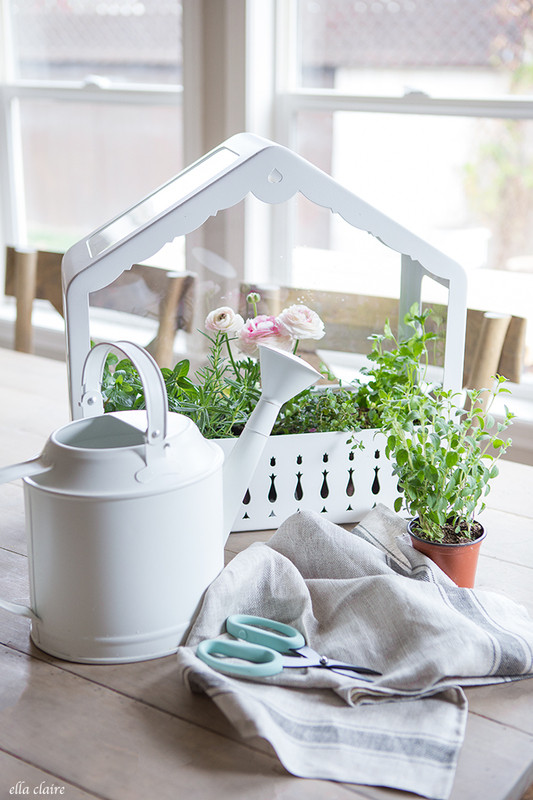 I love how Lauren from Bless’er House scatters plants around…adding charm and brightness wherever she chooses to! It’s pretty incredible what some simple plants can do. 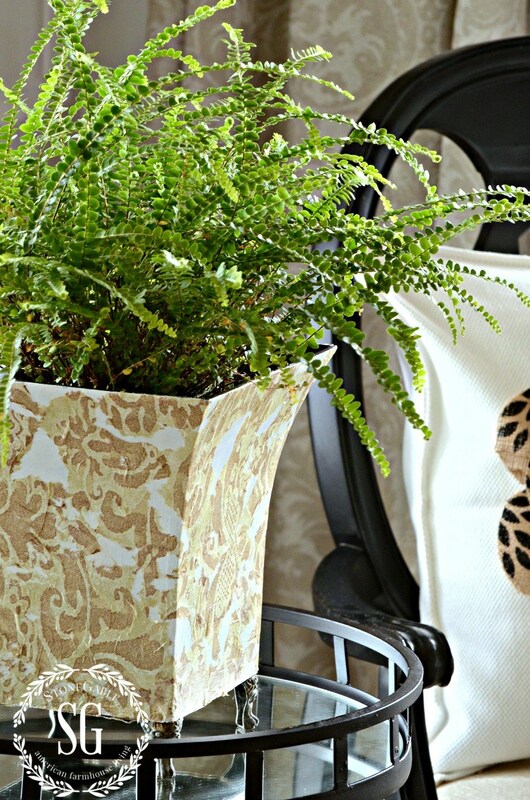 I am not sure if the plants in the canvas bag are real…but what a great idea…you can literally take a larger potted plant …slip it into a canvas bag and hang it. Love the look! 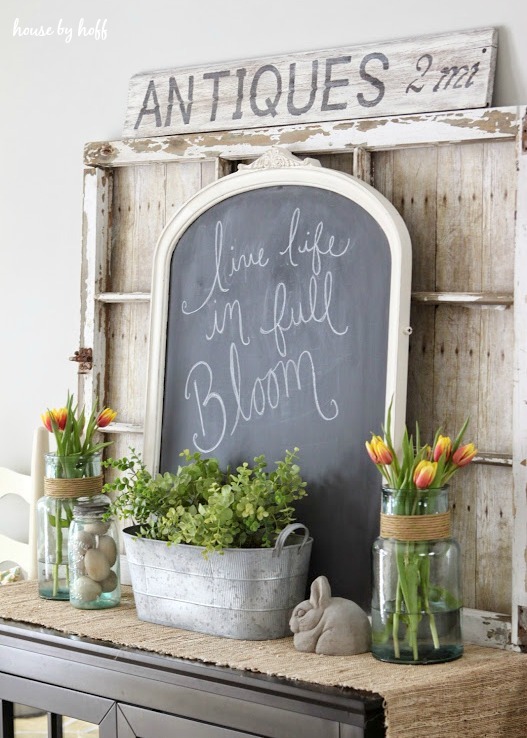 Do the math over at House By Hoff… Fresh Flowers + Chalkboard + Burlap + Galvanized Bucket + Embellishments + Beautiful Plants =’s Farmhouse Perfection. 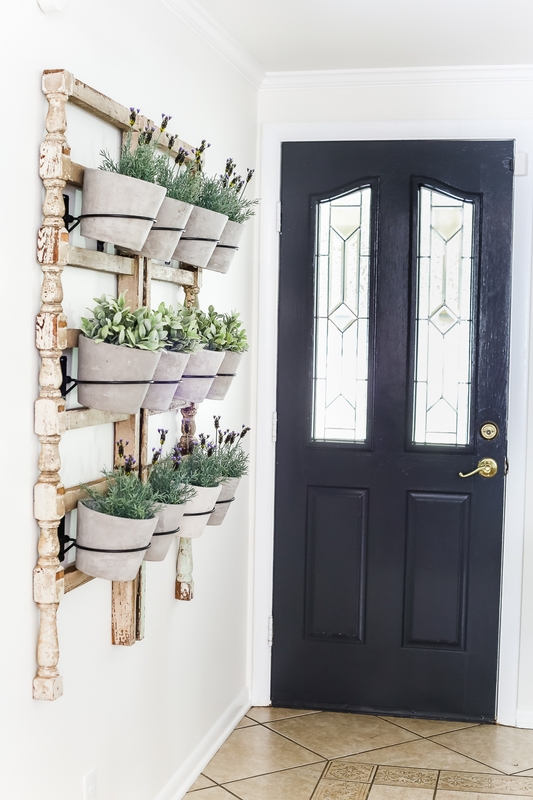 A Variety of plants in all different Farmhouse Style Containers can make the most beautiful Entry Way. Come on over to Home Remedies RX for more inspiration. 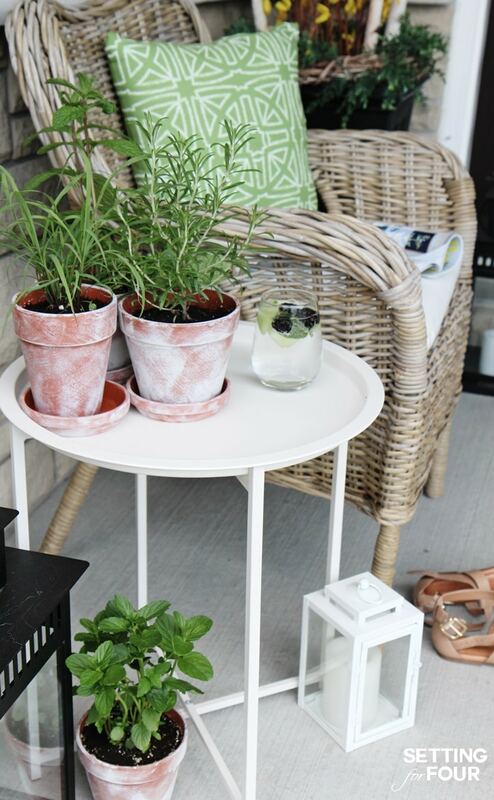 The lovely Yvonne from StoneGable shares 5 Reasons To Decorate With Plants. 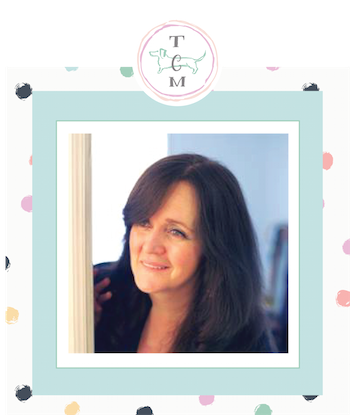 Come and get inspiration from her experience. Don’t you just love the drama this large plant creates on a small table…it’s like a burst of Freshness! 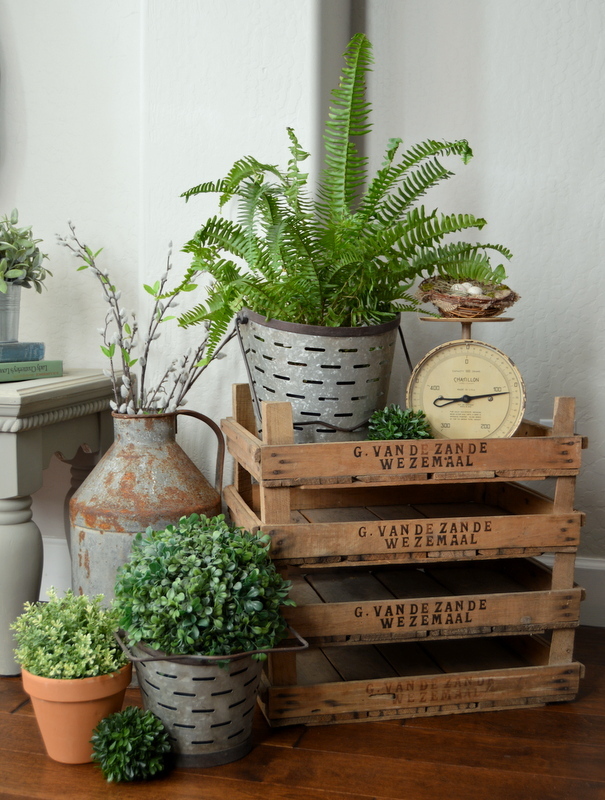 Yvonne from StoneGable also shows us how important plants are when creating a Vignette! They are the perfect touch. 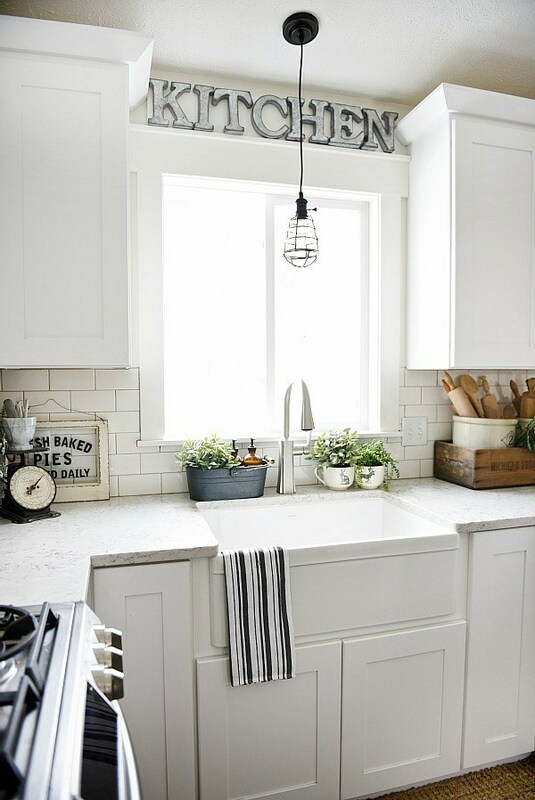 What catches your eye here bedsides Joanna Gaines gorgeous Kitchen Creation? Greenery paves the way. 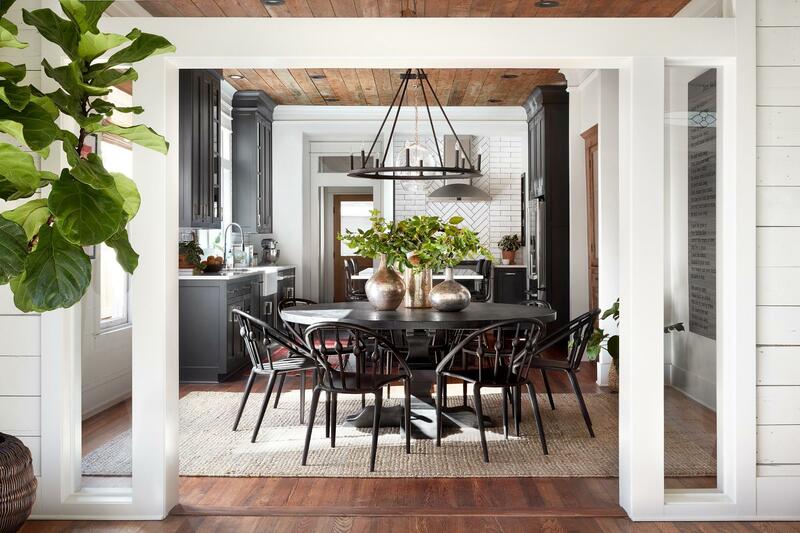 There are plants strategically placed throughout this open floor concept space. Floor plants…Centerpiece plants and plants on the counters. It adds so much charm and life to overall feel of the room. Something to consider when you are looking to change things up a bit. 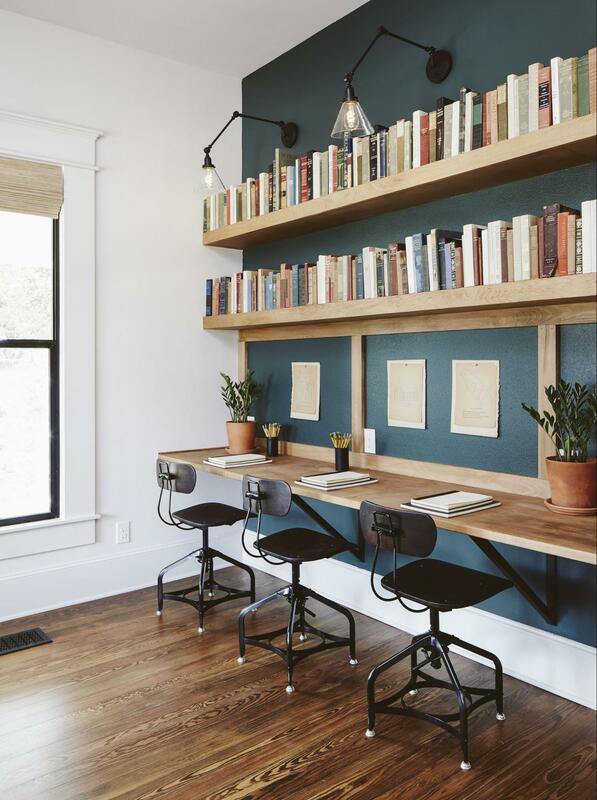 Even in unexpected places like this Homework Station by Joanna Gaines…pretty plants add that homey touch. Talk about Farmhouse Charm my friends! 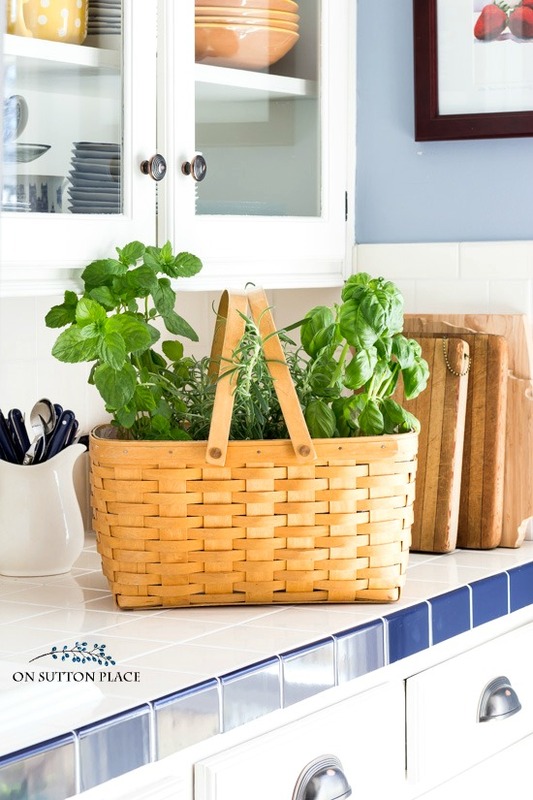 Place an Herb Garden Basket on the counter…it’s magic and it makes your food more tasty 🙂 Come on over to On Sutton Place and Ann will show you how to put one together. 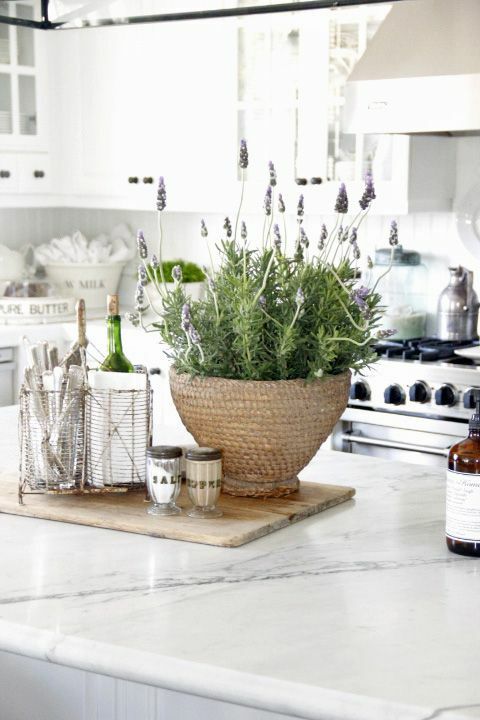 This pin shows how much impact one large plant can make when added to some everyday items on your counter. My Rustic Farmhouse shows us the drama of 3! 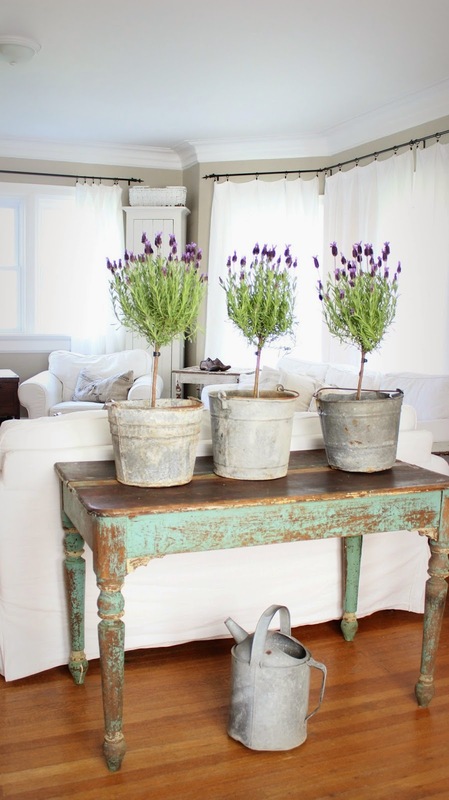 3 Lavender Plants in Galvanized Buckets is magical isn’t it! 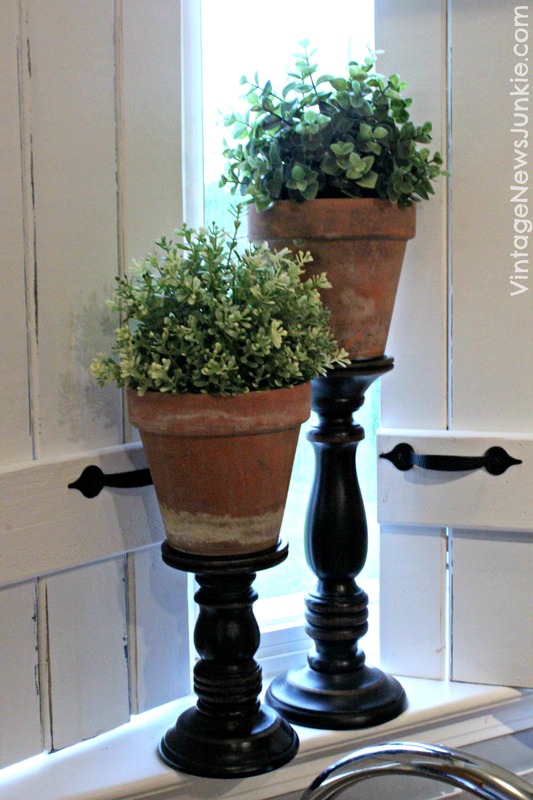 You will see the power of a Weathered Wood Planter filled with Boxwood over at Country Living. 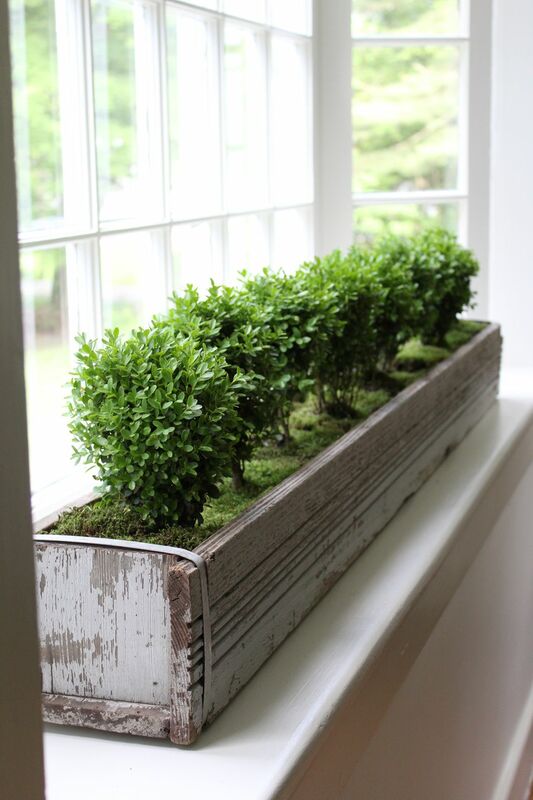 When I think of a Farmhouse Plant…Boxwood comes to mind immediately! 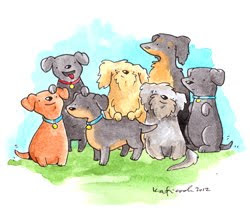 (PLEASE be careful if you have dogs…this is a toxic plant to them). 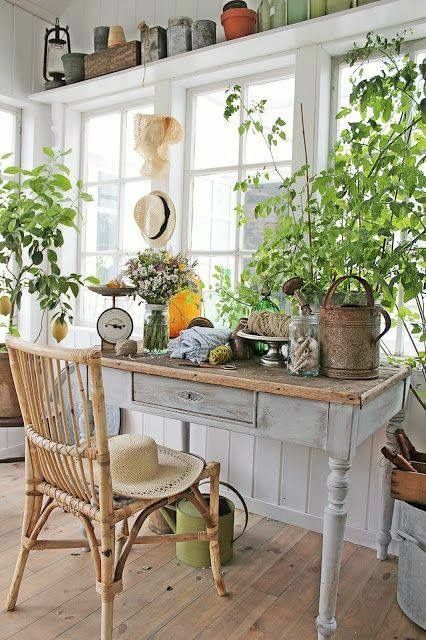 If you are lucky enough to have a Garden Room …Sun Room…or simply a Room filled with Windows…go crazy with beautiful greens…this looks like a Farmhouse Wonderland. Totally inspiring. 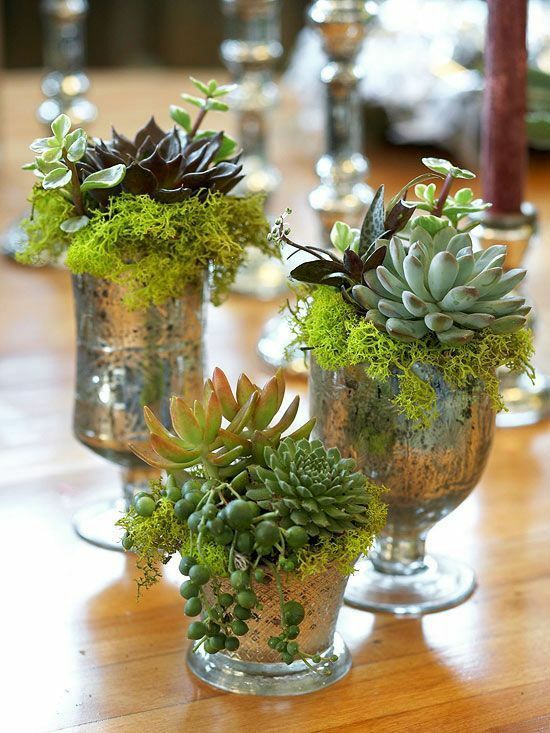 How about arranging clusters of Succulents planted in Vintage Containers or Mercury Glass…so fabulous…so Farmhouse! This pin is totally inspiring. 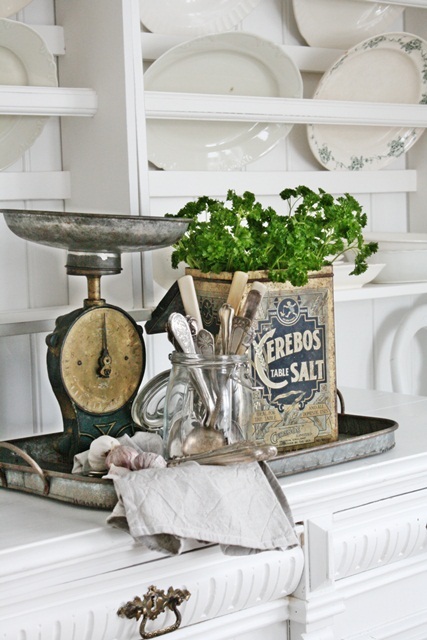 Speaking of the perfect Farmhouse Plant Containers…Vibeke Design reminds us to look for Vintage Tins…they are perfect! This Pin reminds us also that Pitchers and Watering Cans are a great vehicle for your favorite plants…just remember to add drainage. 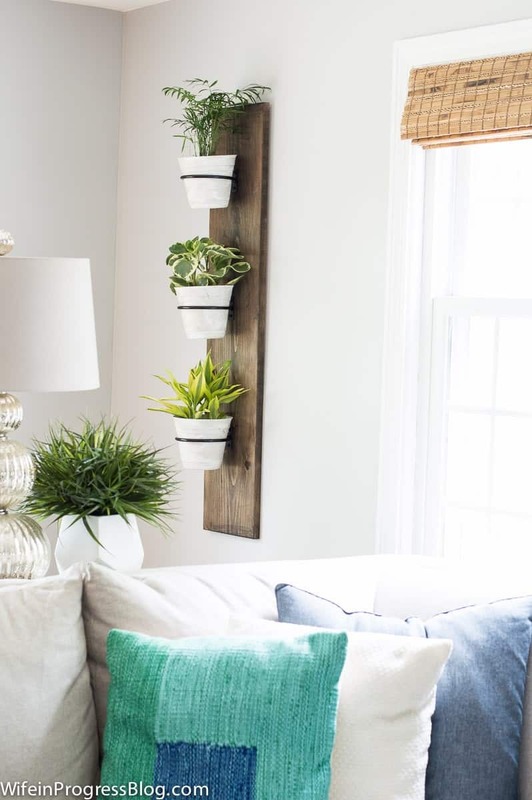 Liz over at Love Grows Wild shows you how plants can make a room feel very light and airy…like a cool morning breeze.